Prince Harry had a falling out with one of his longtime friends after the pal advised the Ginger Prince against marrying Meghan Markle, a new report claims. While it was initially believed that Prince Harry ditched pal Tom "Skippy" Inskip for his hard partying antics, a new report says that Prince Harry ditched his pal after Inskip advised him not to rush into marriage with the former "Suits" star. Inskip was present when Prince Harry infamously got busted playing naked billiards in a Las Vegas hotel suite in 2012. “Like several others who were considered a questionable influence on Harry during his bad old bachelor days, Tom has been dropped, even though he himself now has a lovely wife, Lara," a source told the magazine. "It's all part of Meghan's quiet airbrushing out of Harry's old posse," the source continued. "She doesn't want temptation – of any sort – being put in his way while they concentrate on starting a family." 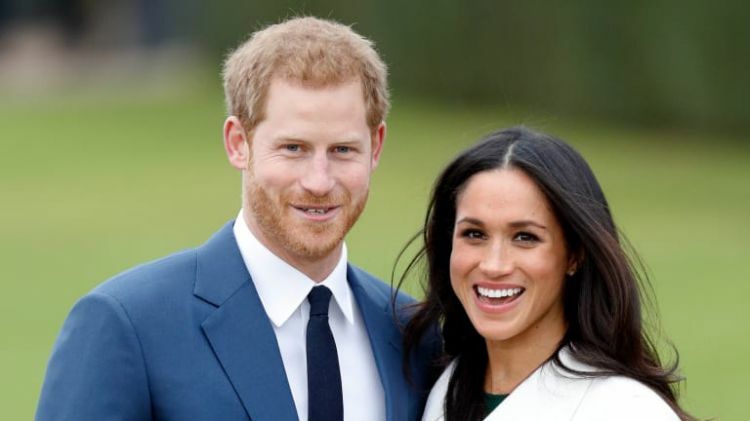 Prince Harry and Markle attended Inskip's wedding in 2017, but have reportedly distanced themselves from Harry's Eton classmate since, Express previously reported. Markle and Prince Harry are expecting their first child in late April or early May. Inskip wasn't the only person close to Prince Harry to show concern for the royal amid his whirlwind romance with Markle. Prince William reportedly "riled" Prince Harry when he advised him to take things slow with the American actress. A rep for Kensington Palace did not immediately return a request for comment.